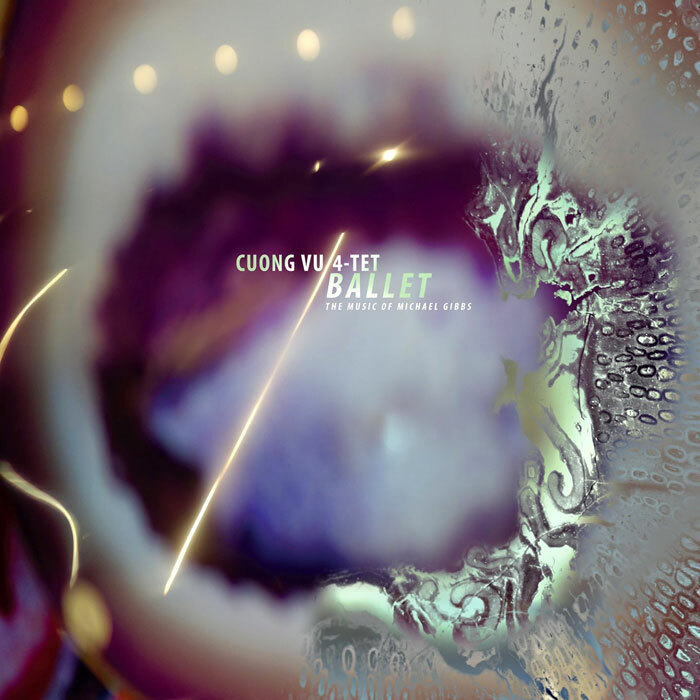 The last Cuong Vu release I heard was from his band Indigo Mist, which is heavily electronic. The 4-tet features Ted Poor (drums) and Luke Bergman (bass), who are also in Indigo Mist, but this is a much more acoustic affair, with Vu’s trumpet paired with Bill Frisell’s guitar rather than keyboards and laptops. Ballet is a live recording of music written by Michael Gibbs, and could perhaps be viewed as a reciprocal tribute to balance the NDR Big Band album where Gibbs presented a set of Frisell’s music. The trumpet work is outstanding, somehow both tasteful and adventurous, exploring the harmonic reaches of the compositions, with a clean tone unadorned by electronics. Vu is one of the outstanding trumpet players working today, and the breadth of his playing is impressive, ranging from lyrical ballads to edgy uptempo romps that venture into adventurous harmonic territory. Frisell may be known these days for his legato phrasing and interpretations of American folk tunes, but it’s worth remembering that he’s got another side as well — remember he was in Naked City with John Zorn. This set gives him the chance to show both sides, with some tracks having a blues base, and others venturing into more avantgarde styles. The standout is the longest track, “And on the Third Day,” originally recorded on 1970's Michael Gibbs. The dramatic chord progression provides an excellent springboard for both Vu and Frisell to show their stuff, playing off each other in ever-intensifying phrases, culminating with a solo that counts as the wildest thing I’ve heard from Frisell in ages. The album was recorded live in 2016 at Meaney Hall on the University of Washington campus, which is right next door to the office where I work, and I’m kicking myself for missing this amazing performance. Thanks go to those who preserved it and have released it for all to enjoy.